A few weeks ago, our boys had a rare weekday off of school so we decided to spend the day at the Happiest Place on earth, thinking it might be less crowded than normal. A Family Fun Day at Disneyland – the Happiest Place on Earth! Later in the day, we were waiting in line for the Pirates of the Caribbean ride, when a woman who was in line right behind us asked us if our boys were twins. We responded “yes”, to which she replied, “my daughters are twins too!” I looked down to see two cute twin girls who were probably about 9 or 10 years old. 1991 – Dave in Boston. Thanks to my friend Dan Barnard for the photo! The mom began chatting with Jen about twindom while the girls and their cousin began telling me about all the rides they had been on and their exploits of the day. The reality is, I’m old. Many of my friends from high school and college have kids who are married, and some are grandparents. Many of the students we’ve discipled over the years are married with kids, some of whom are high school age and beyond. 2000 – Dave in New England in one of our last vacation trips before kids! What amazes me even more than the many lives we’ve been able to influence is the fact that the Lord has provided for every financial need for over 30 years. You probably know that one of the responsibilities of Cru staff members like us is that we raise all of the funds to cover our salaries, benefits and ministry expenses. Last week, I received an e-mail from my employer (Cru) congratulating me on being on staff with Cru for 30 years. It’s hard to believe that it’s been that long, and yet, when I think about it, we’ve had the privilege of ministering to thousands of students and Young Professionals in many locations over the years. 2005 – Dave (center) at a Cru staff conference with former UC Davis students Tommy Forester (left) and Josh Payne (right). Thirty years ago, when I joined Campus Crusade’s staff (now Cru), I received training in developing a Ministry Partnership team, a group of people who would commit to partnering with me financially to enable me to serve the Lord full-time. We are incredibly thankful for everyone who has partnered with us financially over the years, but as I reflect back on 30 years in full-time ministry, I’m especially grateful for the handful of ministry partners who have been supporting our ministry for the entire 30 years! 2019 – Dave (right) with Robert, a Young Professional living in Orange County! Thank you for your continued partnership. Please know that you are an incredible blessing to us and we are extremely grateful for how the Lord continues to use you to demonstrate His faithfulness! There are two kinds of people in the world: those who make New Year’s resolutions and those who don’t. It’s not hard to figure out why some people hate New Year’s resolutions. Many people hate the idea of New Year’s resolutions because they’ve made them over and over again, only to fail miserably over and over again. Nobody likes the feeling of failure. We resolve to lose weight and we actually gain weight. We resolve to get a handle on our finances and yet we go deeper into debt. We resolve to read more and watch TV less and yet we find ourselves binge watching the latest Netflix series during our free time (when we should probably be exercising)! Have you ever wondered why so many New Year’s resolutions fail? It’s because for most of us, we try to change our outward behavior without changing the inner person. We fail to address the core issues that cause us to do the things that we say we don’t want to do but we end up doing anyway. Forty-five years ago, my parents made a New Year’s resolution that greatly impacted me. Though they had both grown up going to church, we were not a church-going family. My parents, after much reflection, resolved to recommit themselves to the Lord and begin taking their family to church on Sundays. As an eight-year old boy, I suddenly found myself in church on Sundays instead of sleeping in or messing around the neighborhood. It was not my preference, but as the weeks and months went by, I learned about my sinfulness and my need for forgiveness. I also learned about the payment Jesus made on the cross for my sin. I learned that I could receive forgiveness and enter into a relationship with God simply by putting my faith in Jesus and His death for me. My life was changed because of a New Year’s resolution. If only I could get someone to take me on a walk! What are the things you are hoping to change as you enter this New Year? What are your resolutions? They are probably similar to mine. I’d like to exercise more and read more. I should probably walk my dog more. I’d like to be more kind and compassionate and less impatient with others. More than anything, my hope for this year is that Christ would penetrate my heart more deeply and that I would experience greater internal transformation as a result. I don’t want to just try to act better but my hope is that by Christ’s strength and power, I might be better – that I might become one who more accurately reflects Christ’s character to the world around me. We are so grateful for you, our friends and ministry partners, whose encouragement motivates us to continue to pursue Jesus and the spiritual transformation that only he can offer. Let us know what your resolutions are for this year and how we can pray for you to experience transformation in 2019! It’s been a year full of ups and downs and many new adventures for our family. We are blessed by the many friends and family who have journeyed with us in 2018. Enjoy this short video overview of our last year! Have you ever had a task that you dreaded doing but the end result made it worth it? As I write this, I’m thinking about how I need to mow my lawn. Yay! The Family photo. My most favorite thing in the WHOLE world! Taking our family photo is one of those tasks that we dread. The mere mention of it to my family elicits a collective groan, and for good reason. Trying to find a time to take the photo and then coming up with an inspiring location is exhausting. Not to mention the task of trying to figure out what we’re all going to wear. REJECTED PHOTO 1 – Joshua (right) looks like he’s half asleep. And we know it’s not going to be a quick endeavor. Once we get to the location, we have to find the right spots and take numerous photos, adjusting for lighting, positioning, closed eyes and awkward smiles. You promised me this wouldn’t take long. YOU LIED! And someone (probably me) is certainly going to get frustrated that things aren’t going quickly or according to plan. Tensions will rise and patience will be tested. It’s the same every year. Who wants to go through all that? But afterwards, when the photos are all downloaded off the camera and edited on the computer, we’re always glad we did it. This year we decided to take our photo at a local park near us. Based on online reviews, I thought it would be an interesting location with plenty of scenic backdrops. After walking around and taking a few photos, Jen suggested we pose on a short bridge that extends over the Oso Creek. REJECTED PHOTO 3 – Now Jacob is asleep and Jen is looking at the dog. Dave is not even in the photo. Bridges are interesting because of what they symbolize. Bridges not only help us get to another destination but they help us overcome obstacles that can make the journey more difficult. In our photo, we’re standing in the middle of a bridge, not quite yet to the other side. I think that truly depicts where we’re at in this season of life. As you know, our boys are seniors in high school and they have been busy applying for schools and preparing for the next step in their educational journey. For us, we’re keenly aware that at this time next year, we may very well be empty nesters. Our boys are busily preparing to leave; they have started to cross the bridge, but they’re not yet on the other side. A few weeks ago, our entire family boarded a redeye flight from LAX to visit the Naval Academy, which is one of our boys’ top choices for next year. It was a whirlwind trip but it was fun to see the campus, meet the Cross Country coach and even see a former high school friend who is a current cadet. We don’t know for sure if our boys will end up at the Naval Academy or somewhere else, but it was another reminder that we’re on a bridge, headed for something new. Jacob (left) and Joshua at the U.S. Naval Academy, where they met their friend Cameron Hurd, a current cadet who was a senior at their high school when they were just piddly little freshmen. Jen and I are doing our best to enjoy this season, attempting to live in the present moment while peering to the other side of the bridge. We are so grateful for you and your prayers for us. Please pray that we would accept each day the Lord gives us and rejoice! PHOTO SUCESS! Everyone is smiling and looking at the camera (even the dog). And nobody is in the background. I guess it was all worth it! For the last year and half, Jen and I have been volunteering as coaches at an Orange County High School. Once a week, a group of students spend an hour with us going through a curriculum that teaches life skills and principles designed to help students experience greater success in pursuing their goals and ambitions. To be honest, these groups are a real challenge. Many of these students are unmotivated and have been hardened by the circumstances of life. Some have had close friends killed as a result of gang violence. Others have relatives who have been in and out of jail. Some have witnessed shootings. For many, there is a feeling of hopelessness. Dictionary.com defines hope as “the feeling that what is wanted can be had or that events will turn out for the best.” But what do you do when events don’t turn out the way you wanted or life delivers unexpected hardships? Our twins are in the middle of their senior year and they’ve been thinking and dreaming about life after high school. Their hope is to attend a military academy and they’ve been working diligently for the last several years to put themselves in a position to achieve that goal. But obtaining an appointment to any of the service academies is incredibly competitive. It might not work out the way they’ve planned. Joshua (left) and Jacob experienced a week at West Point over the summer and are hoping to gain acceptance to one of the service academies as their college choice. There is a tremendous amount of hopelessness in our culture these days, especially among Millennials. Many are discouraged by the political system and by how polarized we seem to be on many issues. Others are discouraged by the high cost of education and the amount of indebtedness they’ve incurred. For some, the job market is not as promising as they had hoped and the American dream seems elusive. The Bible has a lot to say about hope. The author of Hebrews says that “we have this hope as an anchor for the soul, firm and secure.” The hope being spoken of is that God cannot lie, and therefore we can trust in His promises. The author says that Jesus is our High Priest who has gone into the inner sanctuary to make atonement for our sin, and as a result, we can run to God and take refuge. In other words, we can know God and we can come into His presence. He will not deny us no matter what we’ve done or we might be feeling about ourselves. Jesus is the only one who can be an anchor of hope for our souls. Everything else will either let us down or is ultimately fleeting. We cannot put our hope in our job or in the political system or the college we want to attend. None of those things can provide ultimate meaning and purpose for our lives. Only Jesus can do that. Thanks for your partnership with us in helping Young Professionals find meaning and purpose in Jesus, the hope of glory! From the outset of our ministry a few years ago, the number one question we are asked is “How do you find the Young Professionals you will work with?” It’s a great question, because we’ve wondered that ourselves. When we worked with college students, we had no problem finding them. We just walked onto campus and there they were! We had proven methods and strategies for engaging with students and finding those who were interested spiritually. But finding Young Professionals is more difficult. There is no central place, like a campus, where they congregate. We have to find different ways to locate them and engage with them. One of the primary ways we’re meeting Young Professionals is through networking and referrals. 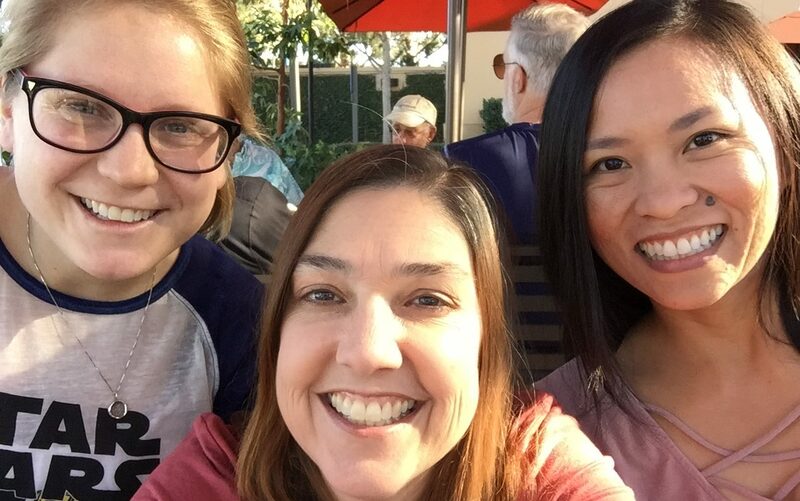 Jen met with Rayna, a recent college grad who is living in Orange County, after we got her name from one of the local Cru campus ministry leaders. It turns out that the way we’re finding Young Professionals is through networking. Like many other fields and industries, we are building our ministry by utilizing our existing network of relationships and seeking to expand our network through the people we meet and the relationships we are developing. Let me share an example. Over the summer, I contacted one of our local Cru campus teams about meeting up to share with them who we are and what we do. (see our newsletter from last month – Frequently Asked Questions – Part 1). We set a date to meet, but in the mean-time, I asked them to let us know if they had any recent grads who were living and/or working in Orange County with whom we could connect. I got an e-mail back with the name of a gal who had recently graduated and was living back at home in Orange County. Jen arranged to meet with Rayna, who, as it turns out, lives very close to us. Jen explained what we’re doing and how we’re seeking to help Young Professionals stay connected to Jesus and live with purpose. Jen invited Rayna to be a part of a new Leadership Development Group that she is starting up. Rayna was excited to be a part of the group and began recruiting other women in the area whom she knows to be a part of the group with her. Rayna then told Jen about her college friend Chris who is a PhD student at UC Irvine. I met with Chris and shared about what we’re doing, inviting Chris to be a part of my next Leadership Development group. Chris was not only interested but suggested I talk to his friend Arthur about the group. Rayna connected Dave with Chris, a college friend who is a PhD student at UC Irvine. The next week, I met with Arthur, heard his story, shared about our ministry and invited him to also be a part of my next group. One simple e-mail and question ultimately led to us connecting with over half a dozen new people. Chris introduced Dave to Arthur, a friend from a small group who is recent grad, living in South Orange County and working in Irvine. While it may not be as easy to meet new people as it was when we were on campus, we’re starting to see the fruit of our networking efforts, as more and more Young Professionals are engaging with us and connecting us to their relational networks. We are so grateful for your partnership which enables us to meet with people like Rayna, Chris and Arthur and others. Please continue to pray that we would connect with even more Young Professionals as our extended network continues to expand. A few days ago, Jen and I drove to UCLA, but this time, it was not for Jen to see one of her many health specialists. Instead, we had scheduled to connect with the Cru leaders at UCLA to share our vision for Millennials and suggest ways we could help them prepare their seniors for life after college. Perhaps you’ve asked that question as well. The short answer is that we provide resources and services to help Young Professionals thrive spiritually and live missionally (live with purpose). The longer answer deserves a bit of context. Picture a greenhouse. Plants thrive in a greenhouse because growth conditions are optimized. They receive just the right amount of sun, water and nutrients, all meticulously measured and delivered at just the right time. Negative growth conditions are minimized because the environment is controlled. A campus ministry experience is often much like a greenhouse, where all the necessary ingredients for growth are integrated into the fabric and culture of the group. Spiritual growth is optimized and the student often doesn’t even think about it. Indeed, many Young Professionals have communicated to us that their most significant spiritual growth and development occurred while they were involved in a campus ministry or a college group. Now picture a wild field. In the wild field, conditions are harsher and not optimized. The ingredients necessary for growth aren’t delivered in measured, timely intervals. The wild field has weeds, which choke out water and nutrients, bugs that eat your leaves and animals who eat your fruit or chew on your root system. The wild field is a picture of life after college. Growth can happen but one must be exponentially more intentional about seeking out and providing their own growth resources than they were in the greenhouse. 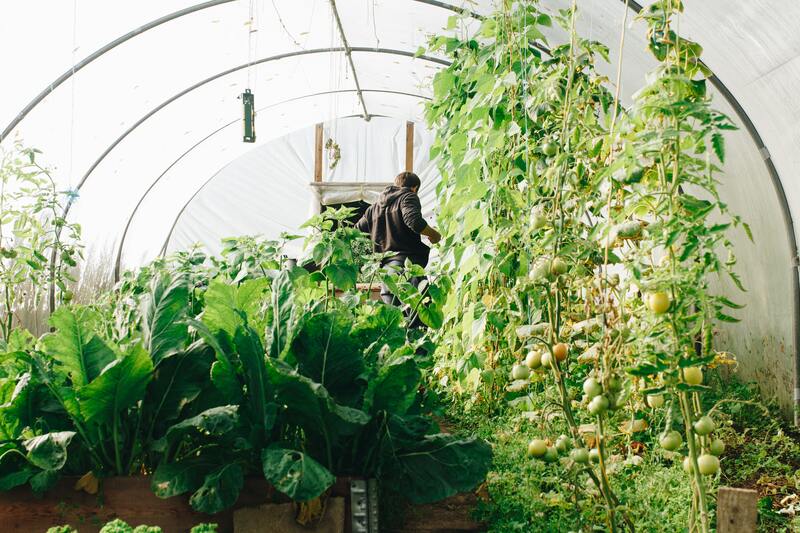 After college, many Young Professionals are feverishly searching for a new greenhouse but are continually disappointed at the futility of their efforts. For many, finding the post-college greenhouse is like seeing a leprechaun riding a unicorn while being chased by Sasquatch. It’s so rare that it can almost be categorized as a myth or urban legend. When we share these two word pictures with Young Professionals and even other Cru staff, a light bulb often goes off. It just makes sense. 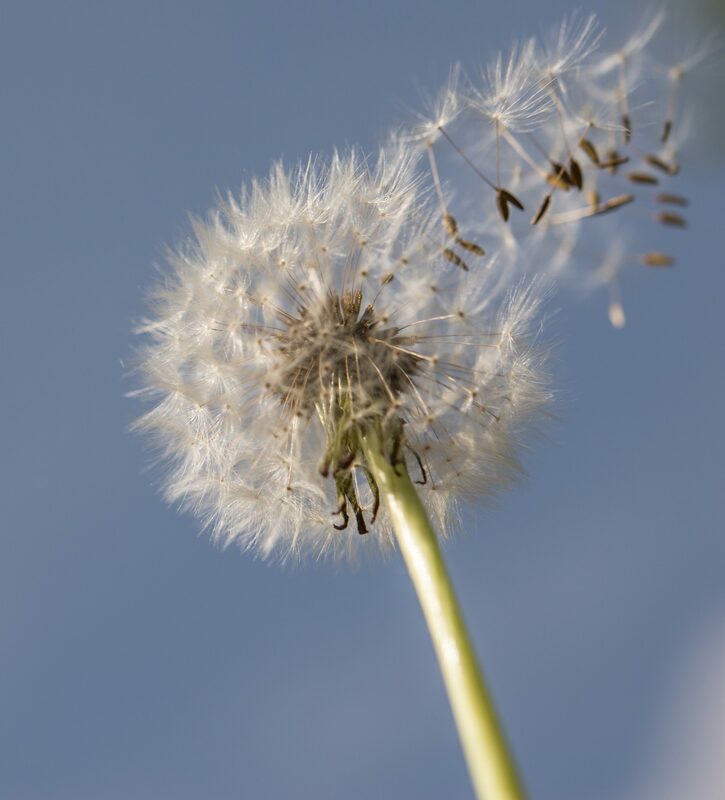 One dandelion can produce hundreds of other dandelions often even miles away. Millennials who are unleashed to fulfill their potential have the same capacity to impact their communities and the world! We come alongside Young Professionals who are navigating through the wild field of life and help to provide some of those growth ingredients that will make it easier for them to thrive spiritually and live missionally. We don’t create another greenhouse community. Instead, our hope is to help them navigate through the weeds (distractions) and predators that make it harder to experience fruitfulness. Essentially, our desire is to help them learn how to live out their faith and their purpose as adults in the real world, just like everyone else. Thanks for joining with us in helping Young Professionals connect to opportunities for leadership development, coaching and vocational discipleship, so that they can be unleashed to fulfill their unique potential and make a significant impact on their communities and the world! Enjoying great weather and a great view in South Boston! Last weekend, we decided to go as a family to see the new Disney Pixar movie The Incredibles 2. It was a fun movie and like most Pixar movies, there were some great life messages communicated through the story. Pixar movies have all been commercial successes among movie-goers and critics alike! UP chronicles the story of Carl Frederickson, a man who has always dreamed of adventure! As the movie progresses, Carl and Ellie grow up, get married, build a home and begin saving for their big adventurous trip. But life continually brings challenges, both financial and health-related, that keep them from taking the trip of their dreams. I love the message that adventure is not so much all the things you do but who you do it with. Adventure is more about loving deeply than just having new and novel experiences. When Jesus invites us in John 10:10 to experience the abundant life, I think this is what he means – He invites us into a relationship of knowing and loving Him deeply (with all our heart, soul, mind and strength). 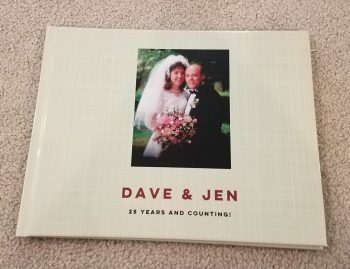 Our 25 year anniversary book, documenting a quarter-century of adventure together! This May, Jen and I celebrated our 25th year of marriage together. To commemorate our anniversary, I created my own “Adventure Book”, documenting many of the things we’ve done and experienced together – the ups and downs, the good and the bad. When I think back on our 25 years together, I’m so fortunate to have found a person who has loved me deeply and helped to make life such a great adventure! If you’re reading this, it’s because you’ve likely been a part of our journey somehow. Thanks for being a part of this great adventure that we continue to enjoy together! Overlooking the beautiful Hudson River from scenic West Point Military Academy, where we dropped off Jacob and Joshua to experience a week of life as a cadet. It was 1991 and I was tasked to spend the summer in Colorado working as part of the Summer Cru conference team. 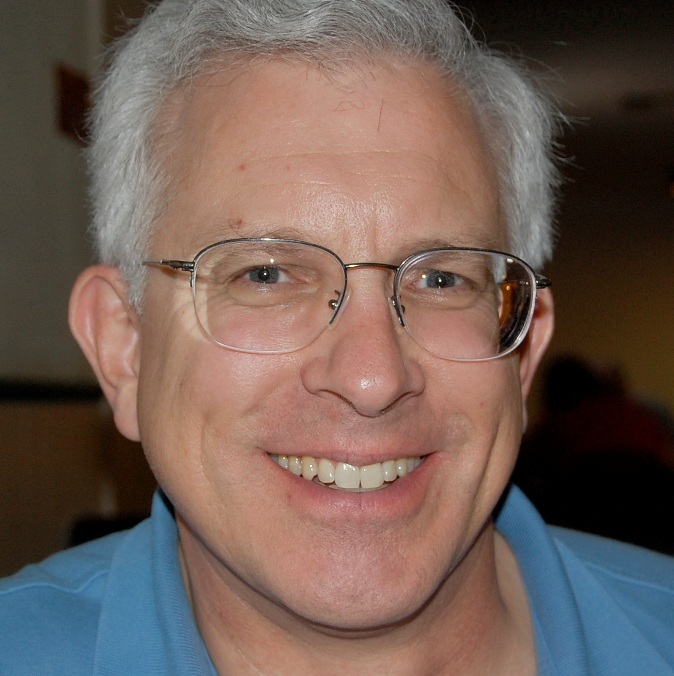 It was NOT my first choice for a summer mission but as luck would have it, I was assigned to work as a Teacher’s Assistant for Dr. John Sailhamer, who was teaching a two-week survey course on the Old Testament. One of my duties was picking up Dr. Sailhamer in the morning and bringing him to campus so he could eat breakfast in the dining hall before class. This provided me the opportunity to get to know him in a casual environment. I found out he was a baseball fan and surprisingly very down to earth. When he found out that a group of us young, single, Cru staff guys were all going to see the new Terminator 2 movie that had just come out, he joined the group and enjoyed the movie as much as the rest of us. 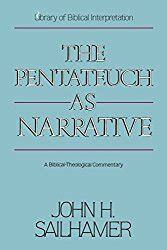 The Pentateuch as Narrative by John Sailhamer was published in 1995. 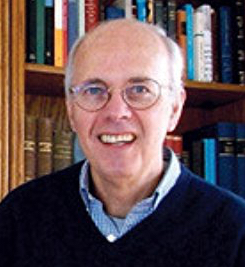 At the time, Dr. Sailhamer was working on a book entitled “The Pentateuch as Narrative”. It was more of a scholarly work that wasn’t quite completed but it was fascinating to hear him share his thoughts, particularly his perspective on work. He contended that God had given Adam work to do BEFORE the fall and therefore work was good and meaningful. This challenged my perspective, which had always associated work with labor and toil and more of a penalty that resulted from the Fall. A few months ago, while I was in the Sacramento area visiting friends and ministry partners, I had lunch with my friend Scott Agee, who has worked as a Civil Engineer for many years. 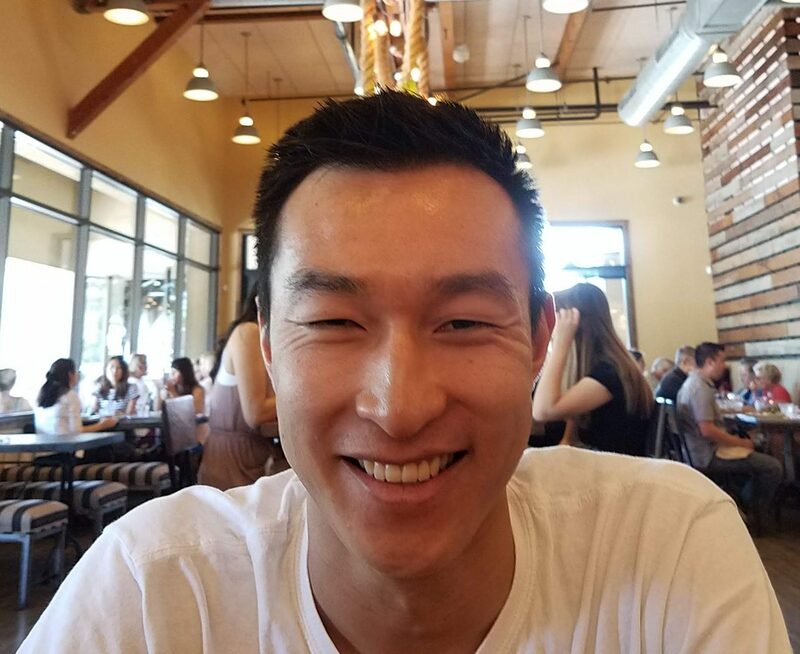 I was interested in learning more about his job and what he does since my twins have shown interest in pursuing engineering as a possible major in college. Scott, to me, is a great example of someone who loves what he does and through his work, finds tangible ways to meet people’s needs, while looking for opportunities to minister to them as God provides. As we work with Young Professionals, one of our challenges is to help them to see their work as valuable. Sometimes, we can fall into the trap of believing that only those who are in full-time ministry, directly helping to meet other’s spiritual needs, are doing significant work. Part of our role is what we call Vocational Discipleship – to help others to see that their work is important and meaningful and can be used by God to advance His kingdom purposes just as much, and perhaps even more, than those who are in full-time vocational ministry. We’re still learning the best ways to impart these values and ideas to Young Professionals so we would greatly appreciate your prayers as we continue to dream and create the kind of environment that would help Young Professionals to thrive spiritually and live with purpose. Thank you for your prayers and your partnership as we seek to ensure that Christ is exalted among this current generation of Young Professionals! The internet has put endless amounts of information at our fingertips, but for most people, has complicated the process of developing deep, meaningful relationships. Perhaps you can relate to this scenario (which happened in our home a few weeks ago). 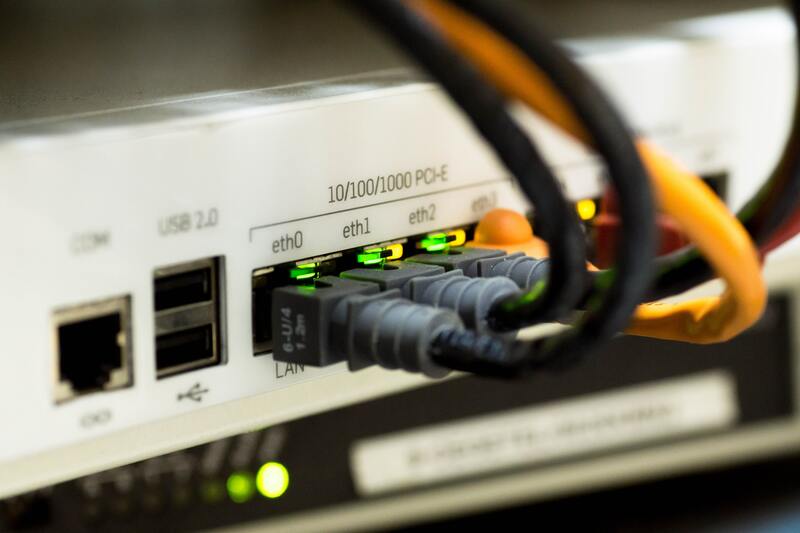 We’ve become so integrated with the internet via our computers, tablets and phones that when the network goes down, we’re not sure how to function. Panic can set in when we try easy troubleshooting tactics and still can’t fix the issue. The internet is an amazing tool that has allowed people to be instantly connected to information. Whatever you want or need, it’s all there at the click of a button. As helpful as this information may be, it can make meaningful relational connection more difficult. The internet has enabled us to have access to seemingly endless information about our friends. We see what they’re doing on Facebook. We see their photos on Instagram. We know what they’re thinking by the tweets they post. And yet ironically, we feel even more disconnected! Almost universally, as we meet with Millennials, they tell us of their desire to have deeper relational connections and the challenges they face in experiencing those kinds of relationships in today’s digital culture. Sadly, for many Young Professionals, the struggle to find meaningful community extends to their church. I sat across a table recently with a Young Professional who told me very directly of his frustration to find real community within his church. 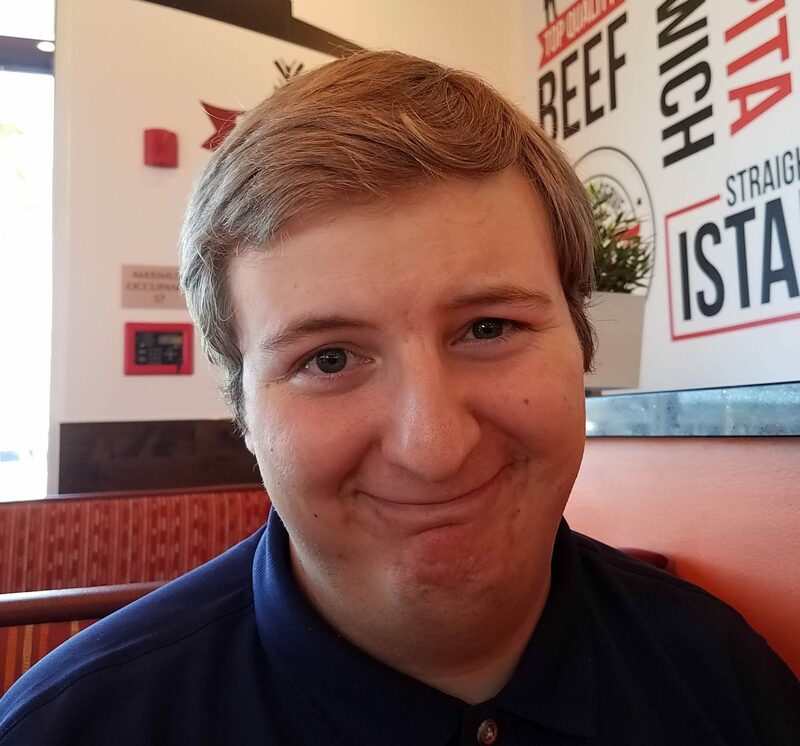 He’d been in several Bible Studies that didn’t last and after attending church regularly for several years, he found that his closest friends were all outside of the church. He’s been struggling lately to understand the purpose and relevance of church in his life, which has given birth to a seed of disillusionment. Unfortunately, we’ve found that this is not an isolated occurrence with this generation of Young Professionals. Our challenge is to help Young Professionals connect with Jesus, who is the only legitimate source of life, and to learn to form deep, meaningful relationships with others in our current cultural environment. We’re trying a number of things to help foster meaningful connections. Jen’s lunch-time book club has created meaningful conversations related to the topic of faith and work. Jen has incorporated a work-lunch book study to bring Young Professional women together around a certain topic that helps create meaningful conversations and deepen relationships. We’ve also created Leadership Development groups to bring Young Professionals together in a cohort-like environment to process life with other Young Adults and talk about core faith issues that are relevant in today’s cultural and professional environment. We’re seeing signs of success but we’ve learned that building effective community always takes work and it always takes time. That’s a challenge because in today’s internet environment, it’s often easier to entertain ourselves with digital alternatives than to invest the time and work necessary to create the kind of real connections that our souls really crave and need. Please pray with us as we seek to find effective ways of helping Young Professionals connect with others. And please pray for us as well, as we need those same kinds of life-giving relationships in our own lives.